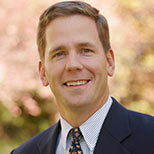 Bob Dold is a former member of Congress for Illinois' 10th district. Mr. Dold ran a pest management company called Rose Pest Solutions. He also serves as a board member for the Boys & Girls Club of Lake County and for the Northeast Illinois Council for the Boy Scouts of America, and he has participated in the Honor Flight program.